Xiaomi has already launched its annual flagship series and got an empty window in terms of selling Snapdragon 855-powered handsets. Though there was another model with similar features coming our way from VIVO iQOO, it couldn’t compete with the Mi 9 because of an insufficient inventory. Anyways, it’s a fact that the Mi 9 line smartphones are considered to be among the highly-demanded models. Moreover, there are phones for each group of customers. As you know, currently, you can choose any from the three, including the original model, the Mi 9 Explorer Edition, and the Mi 9 SE. But seems there will be another member, namely the Xiaomi Mi 9X. 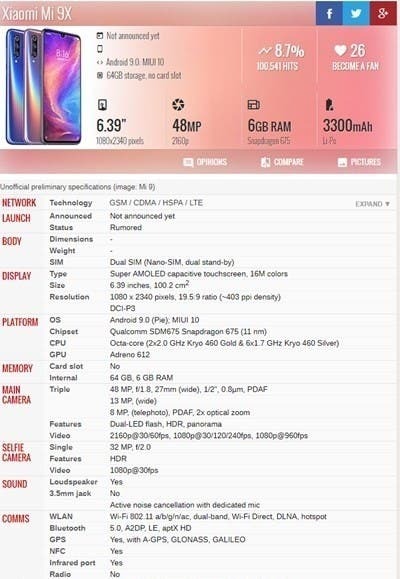 And recently, its specs list has been leaked in the net. The information comes our way from GSMArena. The latter has already created a page for this product and managed to put a few noteworthy features into it. 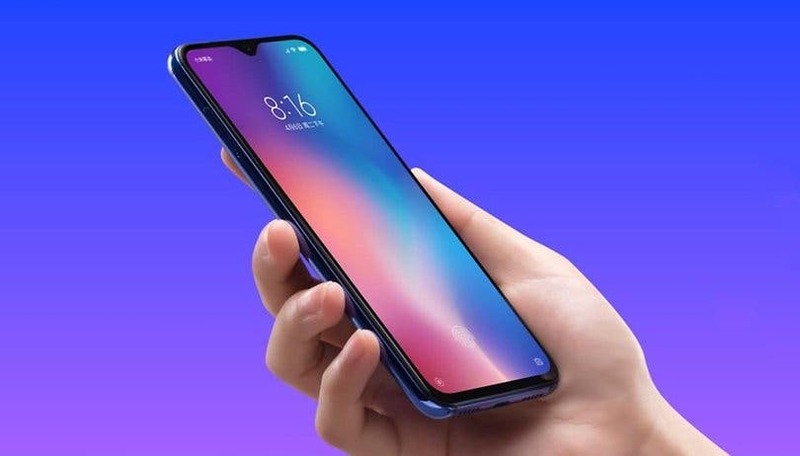 According to it, the upcoming Xiaomi Mi 9X will be packed with a 6.39-inch Super AMOLED screen with a resolution of 2340×1080 pixels. Under the hood, it’s going to host a Snapdragon 675 mid-range chip. In its turn, the latter will be coupled with a 6+64GB storage combination. Of course, it’s going to come with Android 9.0 out of the box. In terms of battery life, the phone will sport a 3300mAh battery, supporting 18W fast charging. In terms of camera parameters, the so-called Xiaomi Mi 9X will be packed with a 48MP+13MP (wide angle) + 8MP (telephoto) three-camera on the back, and a 32MP front-facing camera. The latter is said to support 960fps video recording. It is worth mentioning that the source claims the Xiaomi Mi 9X does not have a 3.5mm headphone jack.